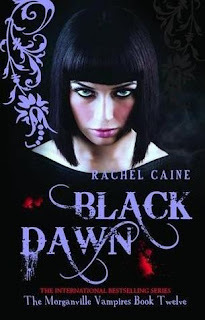 If you follow us on twitter (https://twitter.com/zone_out_mode), then you've probably/hopefully seen that we've been planning a giveaway of a signed copy of Black Dawn - Book 12 of the Morganville Vampires by Rachel Caine! This is exciting because apart from the fact that it's a signed copy of THE MORGANVILLE VAMPIRES (yes we are huuuge fans over here!) it's also Zone Out Mode's first ever giveaway! Yay!